While you grieve, the last thing you want to be concerned about is nitty-gritty details. For many people, planning a funeral is completely uncharted territory, and if the responsibility falls on you to make sure it gets done after your loved one dies, you’ll probably be feeling a mixture of desire to do things right and panic that you have no idea what you’re doing. It’s okay to feel some anxiety about how to get everything together. You have to think about everything from the memorial service to burial arrangements to writing the obituary, and that’s legitimately a lot. People take months to plan a wedding, but with a funeral, you’ll probably have a similar-size event that you may have to coordinate within a few days with little or no advance notice. This is where your funeral home can come in to take a huge load off your shoulders. A funeral director and staff are there to do the things that they can take off your plate so that you don’t have to worry about them. Here are just a few of the things that a good funeral home will do for you. 1. 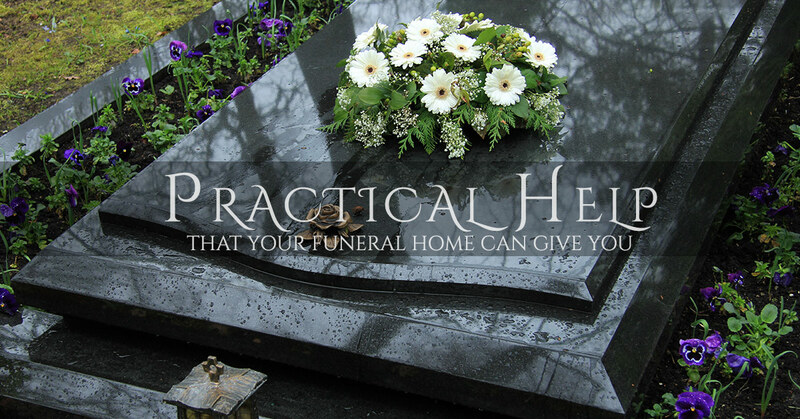 They will help you to think through funeral preplanning. Funeral preplanning is something that no one wants to think about. However, even when you approach the thought and say to yourself, “I should really line this up,” it’s just natural for your brain to recoil from the thought. How do you even have that conversation? Wouldn’t it help if there was a person who was skilled in having these conversations and could guide you through making these arrangements with the minimum of mental anguish for you? That’s exactly what your funeral home can do for you. Let us serve you in that role so that you can spare your family members from that task after you’re gone. 2. The funeral home takes care of the body. Aren’t you glad that you don’t have to figure out how to navigate this aspect with everything else on your plate? In most cultures throughout history, the family member has taken the role of preparing the body for burial, but in modern American society, we have become so sheltered and removed from death that most people would have no clue what to do. We carefully and respectfully give your loved one their final preparation. Whether they’ve chosen burial or cremation, we take care of all those tasks for you. 3. Funeral Home staff can help you to prepare the memorial service. Coordinating a memorial service requires attention to the smallest details, from printing bulletins with the correct spelling to setting up the chairs to organizing the service to fit well with your family’s tastes and preferences. The preparation of all these details shouldn’t make you go crazy. Let the funeral home guide you by asking a simple series of questions, and then leave it to us to handle the practical details. 4. 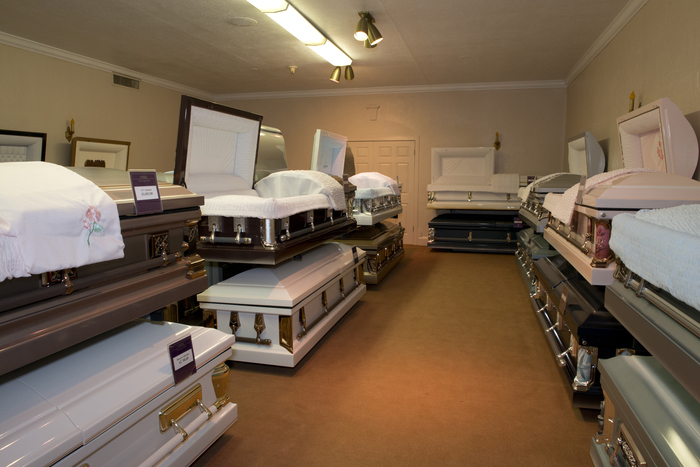 Your funeral home can even help you to coordinate shipping the body elsewhere. 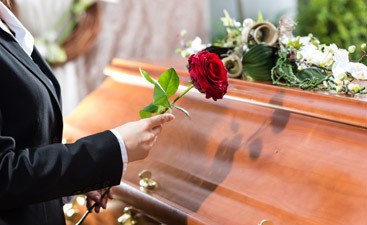 If your loved one wanted to be buried in a faraway place, the funeral home probably has the contact information and knows the procedure for how to do it. Many of the members of our community here in Brooklyn wish to be buried in the country where they grew up, so we have developed an expertise in coordinating shipment to the Caribbean. If you need to ship a body to Haiti, Jamaica, Guyana, Trinidad, Barbados, Grenada, or the Dominican Republic, count on Harmony Funeral Home to help you. 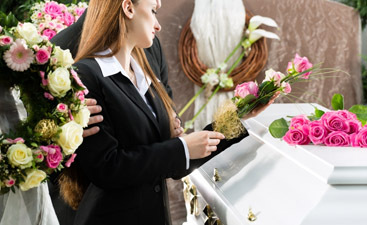 Our funeral home in Brooklyn is committed to giving you the most sincere care, attention, and sensitivity in your loss. Please contact Harmony Funeral Home today for help with funeral arrangements in Brooklyn.